This pair of hexagonal steel lanterns is flat-out stunning! 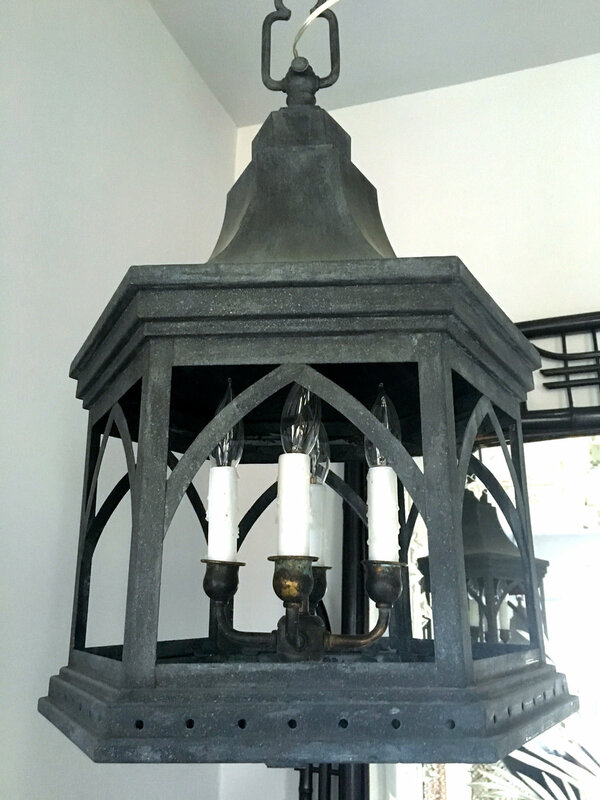 Rare form, the real deal, and out of a posh London flat, we have totally redone them, adding lighting clusters (each with 4 sockets; 300 watts max each lantern), new wiring, new glass, and an anthracite grey zinc-like finish. 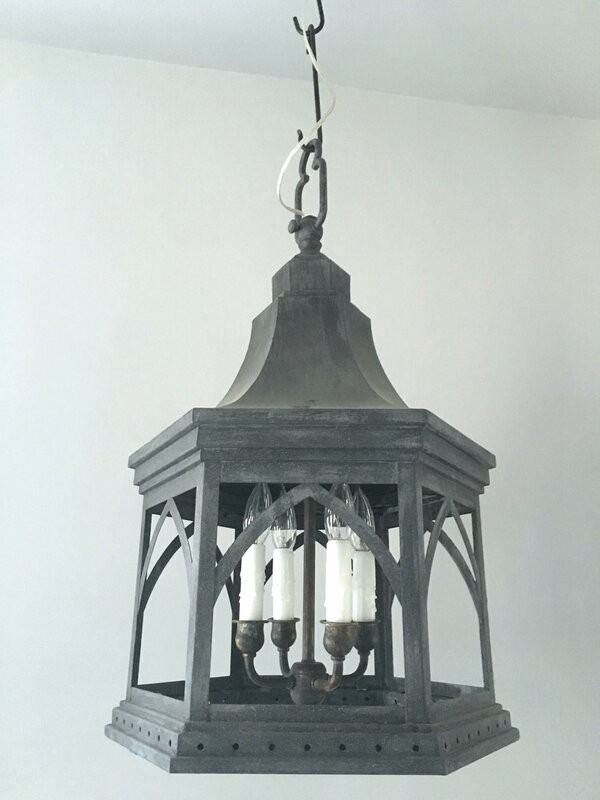 Perfect in a library or dining room, we also have a pair of brackets that will work with them if you'd like hanging, wall-mounted lanterns. In beautiful, refurbished condition. Sold with 6 ft of chain, clear wire, and canopy. PLEASE NOTE that although these lanterns are priced as a pair and we would prefer to sell them together, we will split the pair.